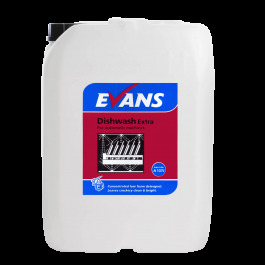 Evans Dish Wash Extra is a concentrated, low foaming dishwashing detergent for use in all water conditions. Formulated to help resist tannin and provide the crockery with an extra sparkle. 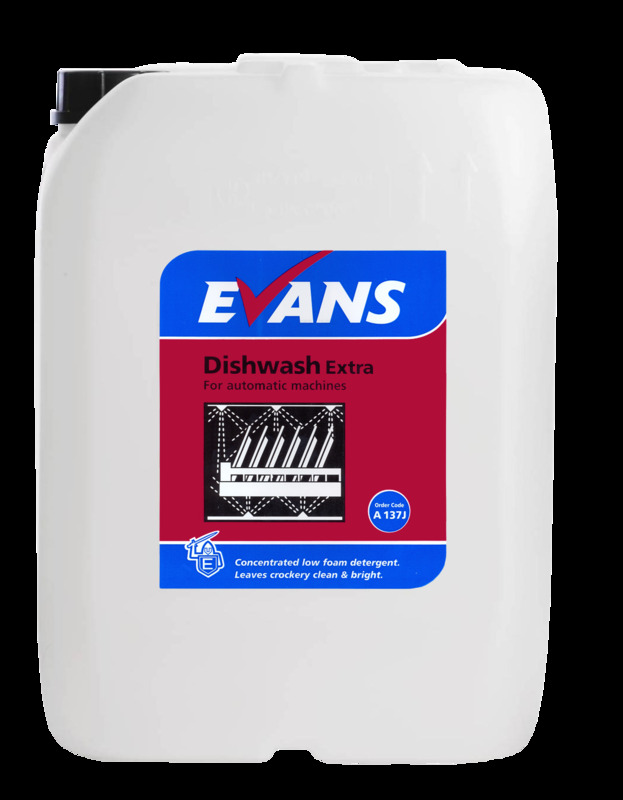 Suitable for use in all types of single and multi tank automatic dishwashing machines. High active formulation, very economical. Effective in even very hard water conditons. Has a pH of 11.5. Also available in smaller 5ltr and 10ltr containers.